During Thanksgiving, Christmas, New Year’s and Easter/Passover, Murray’s offers fresh whole and various turkey parts. Like our Chickens, Murray’s turkeys are raised without antibiotics on family farms and are fed an all-vegetable feed free of animal fats and animal by-products. Have you started thinking about your turkey for Thanksgiving? We have! 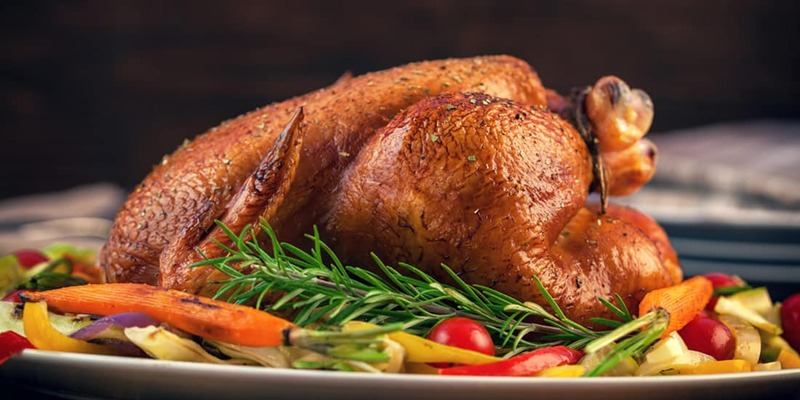 Of course, it’s our job to make sure we think about turkeys all year long so when it comes down to the quintessential turkey holiday, you know you can depend on us for the best. We have whole turkeys available in 10-14lbs, 14-18lbs, 18-22lbs, 22-26lbs, and 26-30lbs. With Ribs, back, and wing portion removed, our bone-in turkey breasts are available in 4-8lb and 8-12lbs. Gluten Free, no antibiotics or added hormones (Federal regulations prohibit the use of hormones or growth stimulants in poultry), vegetarian fed, and timer included. Inspected for wholesomeness by US Department of Agriculture. Product of USA. Never Frozen. We always take the extra steps to provide our customer with the safest and highest quality turkeys around. With the same great quality you’ve come to expect from Murray’s Chicken, our boneless turkey roast is an 8-10lb fully boneless breast. Our boneless, skin on turkey breasts are the low fat alternative to other meat. Roasting a turkey breast takes the hassle out of carving around bones and having to handle a messy cleanup. For hearty, satisfying sandwiches, roast it and pile on the tender slices!